US compounder PolyOne has opened an Innovation Centre in Seoul to serve its growing colourants and additives business in South Korea and added on other technology in Shanghai, China, and the US. In Shanghai, PolyOne�s Colorant Chromatics subsidiary has added new equipment to make speciality colour concentrates and formulations. It will also serve as a centralised sales and development hub for the Asia-Pacific region, catering to customers in key markets such as personal care, beverage packaging and household products. Colorant Chromatics manufactures concentrates and speciality formulations for applications in aerospace, medical, automotive, electronics, telecommunications and other markets. 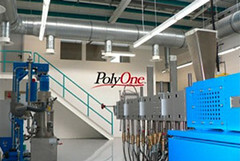 Meanwhile at its US innovation centre, PolyOne has increased production capacity and expanded capabilities to include prototyping of film, sheet and injection moulding processes. 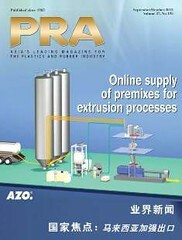 Also included is a comprehensive design idea library showcasing the impact of colour and special effects on different shapes and materials and additional twin-screw extrusion capacity to provide quicker solution turnarounds, as well as advanced equipment to address increased demands for specialty performance additives. And at its Avon Lake headquarters, PolyOne has launched fused deposition modelling capacity for rapid prototyping. That type of modelling uses computer drawings to directly manufacture working prototypes, eliminating the costly and time-consuming step of machining moulds from metal.